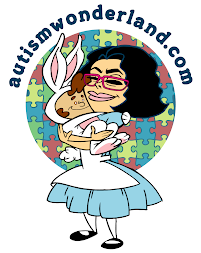 Parents and their children with low-functioning autism are welcome to participate in sensory activities and drama movement games. Participants will follow 2 characters as they discover what magic can happen during the "wet" month of March. 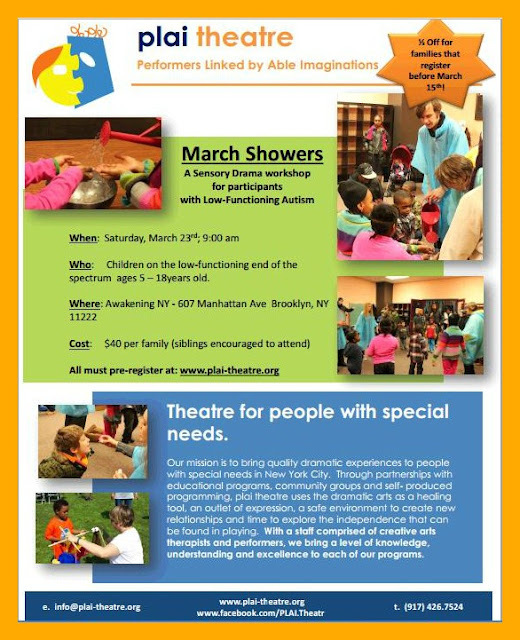 Lasting 60 minutes long, a theatre director and Creative Arts therapist will lead the group in safe activities that promote socialization and help family members have a pleasurable and fun time working together and with their imaginations. Registration is limited. Please send an email to info@plai-theatre.org with any questions.